The Windows Phone 8S is a more compact and affordable version of the Windows Phone 8X. 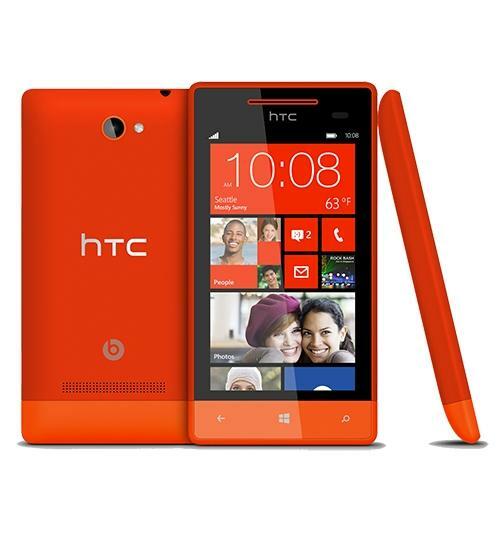 The Windows Phone 8S by HTC features a 5-megapixel camera, 4-inch HD display, Beats Audio, dual-core S4 Snapdragon processor, G-Sensor, and integrates seamlessly with Microsoft XBOX, Windows 8, and SkyDrive. The device runs the Windows Phone 8 mobile operating system. I would not recommend this phone to anyone, the phone has certain restrictions to social media, and everyone knows that this generation loves social media, so to find out that the phone does not carry Snapchat is a highly disappointing. Another thing is the user can not download a simple app with out setting up a my family account, which I may add is a real hassle. I would recommend anyone getting a windows phone do not get this phone!